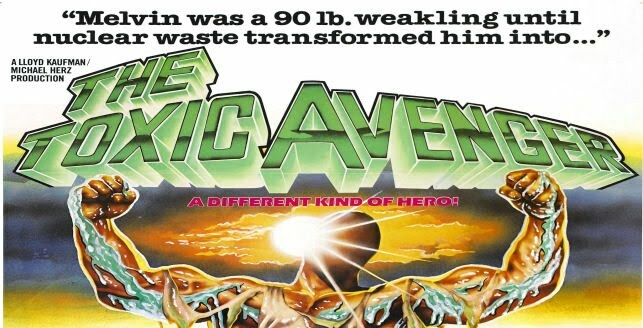 The original film directed by Michael Herz and Lloyd Kaufman followed Melvin, a nerdy custodian who is bullied into a vat of toxic waste. Melvin transforms into the Toxic Avenger, a deformed hero who weilds a mop and fights against polluters and a corrupt mayor in the quiet town of Tromaville New Jersey. The film is ridiculous beyond belief and developed a huge cult following on VHS (me being one of them). Original Media have yet to hire writers, but have Akiva Goldsman, Richard Saperstein and Charlie Corwin attached to produce. Saperstein reveals that the remake will be family friendly something similar to The Mask. The idea is to use Toxie as a posterboy in the environmentally conscious times. While I hate the idea of a remake to The Toxic Avenger, I'm sorta glad the idea is to gear it towards kids. Bear with me here for a second. There is no way fans of the original are going to get behind a remake. The original is a testament of harmless stupidity. Believe me that is not a knock, I love The Toxic Avenger. I'm even planning to attend a screening of the film this month at the New Beverly, here in Los Angeles. But a remake is sure to upset fans. Meanwhile gearing it towards kids is perfect. Most of them, will not know who the hell The Toxic Avenger even is. Only if their parents were fans of the originals would they know. Now I am not saying that this idea is golden or even something I endorse, but the fact that it is aimed towards younger audiences (that do not know about the original) is a good thing. Who knows, the film could be fun. I seriously doubt it, but you never know.